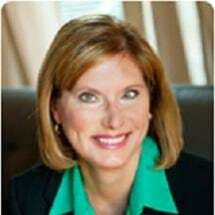 Attorney Julie Williams Cain is the founder and owner of CAIN LAW OFFICE LLC in Tallapoosa, Georgia, where she provides exceptional legal counsel, support and mediation services for individuals and families dealing with serious and complex legal challenges. Devoted to helping you find solutions to your legal problems as efficiently as possible, Ms. Cain offers effective mediation services to assist you with resolving your conflicts and reaching agreements without the need for expensive, time-consuming court battles. However, her extensive trial experience before Georgia's State, Superior, Probate, Magistrate and Juvenile Courts means that she possesses the skills and resources necessary to help you protect your rights and interests, as well as those of your children, should your matter require litigation. In all cases, Ms. Cain is here for you, and her law firm offers free initial consultations so you can discuss your matter with no risk. To find out more about how CAIN LAW OFFICE LLC can best serve your needs while helping you secure a brighter future for yourself and your family, you can contact her law firm to schedule an appointment.